A Fiendish Plan Tee Design Review. 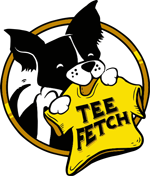 The A Fiendish Plan tee design is for the fans of Supernatural and Rocky and Bullwinkle. 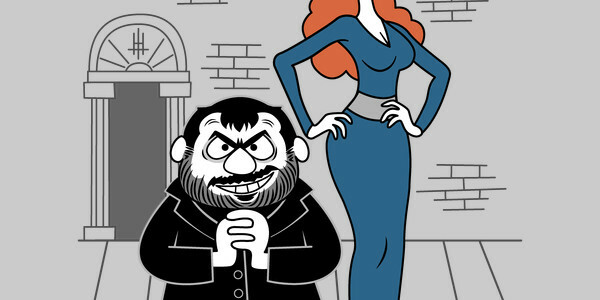 The concept of the A Fiendish Plan tee is based on all of Crowley's Rocky and Bullwinkle NUMEROUS (Video above)references when he calls Sam and Dean Moose and Squirrel. 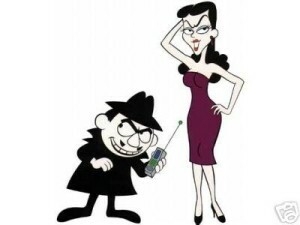 Here Crowley and his mother Rowena are drawn in the style of Boris and Natasha (Who are shown in the image below) from Rocky and Bullwinkle. As for the design, it is drawn in the Rocky and Bullwinkle style. All of the important character features are added to Crowley and Rowena to make it obvious who they are. Good old school coloring and no shading just like the cartoon. This A Fiendish Plan tee will make a nice gift for any fan of Supernatural and vintage cartoons. This is a good casual shirt that fits in anywhere such as Comic-Cons. It would also make a good tee to wear while streaming Netflix. A Fiendish Plan Tee Design by Matt Parsons.